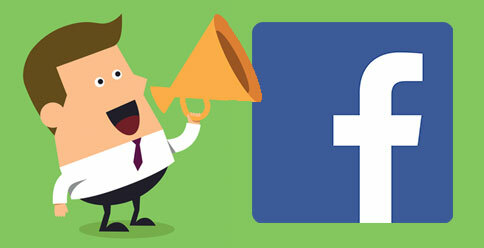 Facebook has recently added a new feature for it’s business pages, the call to action button. The button appears in the cover image section of business pages and is designed to help pages drive business objectives. Calls to action are an important part of your social media marketing strategy, a clear call to action will help drive people to take actions that are important to your business, i.e. book appointments, watch video or sign up. Book Now – used for booking appointments, great for restaurants, hotels, theatres, hair and beauty salons, dentists and any business that uses an appointment system. Contact Us – one of the more generic calls to action that can be utilised by all businesses. Use App – for businesses that have a mobile app, drive users to download your app. Play Game – this could be very interesting for businesses in the gaming industry allowing free demos or playing games online. Shop Now – drive users from Facebook to your ecommerce website to purchase products, perfect for the retail industry. Sign Up – designed to capture the data of your Facebook audience by directing them to a data capture form on your website to sign up for a newsletter or download an eBook. Watch Video – video content is becoming more and more popular, use this CTA to drive people to your business videos. This latest feature is free to use and takes a few minutes to implement. Once you’ve created a call-to-action button, you can track the number of people who have clicked on the button via the This Week column on the right side of your page, it will show the number of times the call to action button has been clicked under the heading of your chosen call to action i.e. book now. Add your call to action button by following these four simple steps. 1. Visit your Page and click the “Create Call-to-Action” button in the cover image section. 2. Select the most appropriate call-to-action and enter the URL you want your fans to visit. Click the “Next” button. 3. If you’re driving iOS users to a website, select “website”. If you’re driving iOS users to an app, select “app”. Follow the same instructions on the next screen for Android. 4. Click create; your CTA button will then appear in the cover image section.